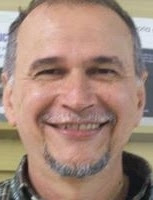 Since the early 2000s, the discussion on the role and nature of cooperatively organised work in Brazil has been intense, reflecting its multiple facets: as a form of cost-cutting and labour precarisation; as an alternative way of generating jobs and income; or as a democratic form of labour organisation, based on the principles of cooperativism and self-management. Between 2007 and 2011, we researched the management experiences of cooperatives formed by local authorities, NGOs and trade unions in the Brazilian state of Sao Paulo (De Paula Leite et al, 2015), asking questions like: To what extent are cooperatives and associations a form of employment creation and income generation? We also examined their scope for transforming gender relations: who are the men and women who work in these cooperatives? How does the form of work organisation affect gender relations within the workplace? To overcome the difficulty of finding reliable, current data, we surveyed associative labour in the State of São Paulo and conducted field work at several solidarity economy units. 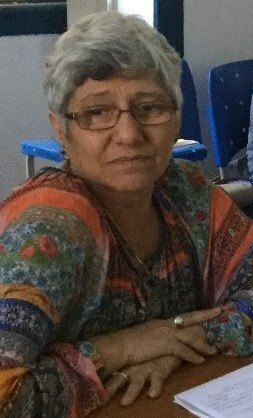 The research centred on those sectors of the solidarity economy which were shown by a survey in the state of São Paulo to be the most representative in terms of employment, namely recycling, sewing, handicrafts, food and ‘recovered factories’, which are factories taken over by workers after they were closed or were threatened with closure. The survey sampled 107 establishments, where we interviewed the leaderships and 466 workers. Additionally, case studies aimed to understand who these workers are, their working and living conditions, and their perceptions of work. Public managers, business incubators and associations representing the solidarity economy were also interviewed. The survey data reveals that older workers predominate. Male workers are the majority in the recovered factory sector, while women predominate in food, handicrafts, sewing and recycling. Incomes are below the minimum wage in most cases, except in the recovered factory sector where most of the workers earn two to four times the minimum wage. This confirms what the case studies revealed, that cooperative work is an important alternative for those for whom other types of labour insertion is difficult. Many of these workers had previously been in precarious employment, with the exception of those in the recovered factories who were mostly former wage-earners. The gender asymmetries observed in the formal labour market are reproduced here, with women concentrated in the lowest-paying sectors and the lowest income brackets within enterprises. Their employment relationships are also generally more precarious than men’s. The data shows a gap between the ideals of cooperativism and workers’ experiences within the establishments. For example, survey results show that little importance is assigned to the freedom and autonomy of the cooperators. The gap also appears in weak participation in meetings, notably in the handicrafts, sewing and food sectors; supervisors’ disciplinary role; cooperators’ weak participation in collective activities with work colleagues outside the workplace; low esteem for the philosophy of cooperativism; and low preferences for working autonomously or in groups when deciding to work in associations/cooperatives. Nonetheless, the great majority of workers would not give up a job in a cooperative for one paying the same in the formal labour market. They gave the absence of bosses and greater freedom as reasons, as well as more stable employment in cooperatives than in the formal market. So, even if the cooperators do not rate the principles of cooperativism and self-management very highly, they do place considerable value on its practical freedoms, which are valued even more highly by women because they can reconcile their work with their responsibilities to care for sick relatives, which would have been impossible in the formal market. We identified three groups of workers. One, consisting mainly of women, engages in occupations requiring skills associated with women or considered ‘naturally’ feminine, such as handicrafts, sewing and food preparation. These workers have generally come from labour market exclusion into organisationally weak income-generating experiments, often supported by the church. Mostly, these enterprises are the furthest removed from the ideals of cooperativism and the solidarity economy, and they are particularly characterised by the great autonomy of the cooperators, who very often work at home. Except for the sewing cooperatives, the work performed collectively is generally more in marketing than production, particularly in the handicrafts sector. Two, the recovered factories’ predominantly male workforces came from the formal market and, although low-educated, were already wage earners when the establishment resumed activities. This sector has the most structured experiments, and generally quite strong ties with the unions, at least during the initial recuperation phase. But the relationship has several contradictions, ranging from the unionisation of the cooperators (an initiative proposed by the trade union movement to enable representation of the cooperators, but the idea is not fully approved by the cooperators) to the difficulties that recuperated factories encountered in incorporating trade union criticisms of work organisation and traditional systems of worker remuneration. However, the link with the trade union movement at least provides the recuperated factories with an organic structure not found in the other sectors. Finally, the recycling sector brings together workers who are extremely excluded in social and economic terms, coming from backgrounds of unemployment, inactivity or highly precarious forms of insertion such as garbage picking or domestic work. Here, female participation is only a few percentage points higher than male (54.6% according to our survey). The sector’s most important feature is its organising capacity, reflected in the action of the National Movement of Recyclable Material Pickers (MNCR), a social movement that not only got this occupation regulated but also helped to secure the adoption in August 2010 of the National Policy on Solid Waste, which recognises the pickers’ rights, and proposes to support and strengthen their existing cooperatives and organise new ones, while permitting local authorities to award contracts to these cooperatives. From this continuing segregation arises unequal remuneration for men and women in gender mixed enterprises in the sectors studied, and a female majority presence in small-scale enterprises that operate in precarious conditions and which have difficulty consolidating and expanding. However, cutting against this trend, women have taken leadership roles and managerial tasks in the majority of the enterprises, including some recuperated factories that have few women workers. Women in these leadership roles have broken with the power relations that traditionally placed them in subordinate roles, and have begun to experience situations of learning, public participation, public speaking and redefinition of their identity and their right to citizenship. 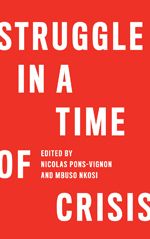 So, concretely the solidarity economy ends up reproducing many of the characteristics of the formal labour market, but it undeniably contains an element of worker resistance both to situations of exclusion and unemployment and to the situations of subordination found in waged labour. This resistance is expressed in the struggle for factory recuperations under worker control, in the maintenance of cooperative experiments, and in the will to express opinions, participate in decisions and work ‘without bosses’. Recognising this resistance should not hide the difficulties and weaknesses that still need to be overcome if most of the solidarity enterprises are to achieve economic sustainability and reproduction. Ideals of self-management or collective ownership of the means of production do not appear to be priorities. Labour autonomy, however, remains in the idea of workers’ being their own bosses, albeit from a more entrepreneurial perspective than a labour-collective perspective. Our research shows that, even if critics are correctly pessimistic of the solidarity movement’s capacity to bring forth a different economy, we should not ignore its role as an alternative means of social insertion for excluded segments of the population. Despite the problems, the cooperatives and associations embody a potential for more democratic ways of working, as well as for participation by the cooperators, and this is by no means negligible. However, this capacity cannot survive without both an active movement and effective public policy support to improve economic conditions for the enterprises, through access to credit, technical training and public markets. Building a new culture of associative labour entails strengthening the political will for it, as expressed in public policies aimed at changing the priorities of economic development by giving labour primacy over capital.